During the Second World War, the East Anglia region of England earned the reputation of being the ‘aircraft carrier of Britain’. This was due partly to the ‘friendly invasion’ of over 200,000 men and women of the United States Air Force who were based at 67 airfields in the region from 1942 onwards. Many of these airfields existed before the arrival of the Americans, as did others in the east of England used by the Royal Air Force to launch fighter aircraft against incoming German bombers and their fighter escorts. The aerial conflict between the RAF and the German Luftwaffe reached its height in the summer and autumn of 1940, a period known as the Battle Of Britain. The RAF fighter pilots based at airfields in East Anglia and other parts of the country spent much of their time between sorties waiting to be scrambled into action. They slept, listened to music, played cards and generally tried to relax. Some played football, others cricket and a few even competed in distinctive custom-built facilities erected to meet the special demands of their chosen racquet sport. Squash. Today, almost all of the airfield squash courts have disappeared as military property has been re-developed or sold off for commercial use. 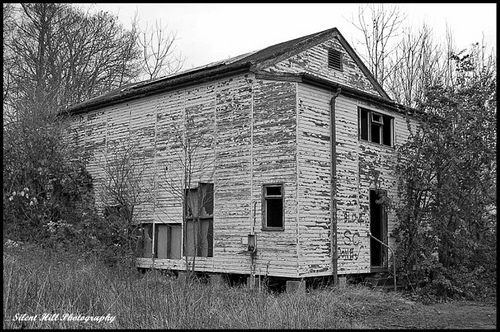 Yet some still survive as decaying relics of a period of conflict and heroism. One such court still stands on the former site of RAF Swannington in Norfolk. The airfield was home to Nos. 85 and 157 squadrons which arrived in May 1944 and became operational in August 1944. 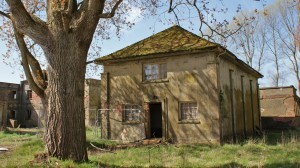 Another survived, until recently, on the former site of RAF Driffield in East Yorkshire. Opened in July 1936, RAF Driffield became home to a number of bomber squadrons. By 1938, these had been replaced by No.77 and No.102 Squadrons, and were eventually equipped with the twin-engined Armstrong Whitworth Whitley bomber. A third court, severely damaged by arson, can still be found on the former site of RAF Binbrook in Lincolnshire. RAF Binbrook was opened as a Bomber Command station in June 1940 and was home to No. 12 Squadron RAF which operated between July 1940 and September 1942 before moving to RAF Wickenby, also in Lincolnshire. 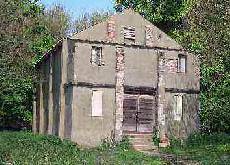 Further afield, the squash court at RAF Yatesbury in Wiltshire also survives. The site first opened as an aerodrome during World War I and RAF Yatesbury continued operations in the interwar years before again taking on a major role in World War II. From 1936 onwards RAF Yatesbury and nearby RAF Compton Bassett were major Radio and Radar Training Schools. These squash courts, used by ‘The Few’, will soon be a memory. Yet, in the annals of British history, the name of one of their number will never be forgotten. Douglas Bader was an RAF flying ace during the Second World War. He was credited with 20 aerial victories, four shared victories, six probables, one shared probable and 11 enemy aircraft damaged. His story is remarkable in that while attempting some aerobatics before the outbreak of the war, he crashed and lost both his legs. Having been on the brink of death, he recovered, retook flight training, passed his check flights and then requested reactivation as a pilot. Although there were no regulations applicable to his situation, he was retired against his will on medical grounds. After the outbreak of the Second World War in 1939, however, Bader returned to the RAF and was accepted as a pilot. He scored his first victories over Dunkirk during the Battle of France in 1940. Astonishingly, despite his limited mobility, Bader remained a keen sportsman, playing doubles tennis and cricket. But it was his exploits on the squash court which continue to inspire. “The third game I played until recently was squash rackets. This again was a game I knew very well before I lost my legs, and it is of course played in a confined space which helps. “There is no question of playing competitively. The best thing to do is to play with someone who is good, who will not hit everything out of your reach but will adjust his game to give you plenty to do and himself plenty of exercise. Thanks to the BBC website for its article “World War II US airfields in East Anglia project to record history.” Also thanks to Wikipedia for its entries on RAF airfields and Douglas Bader. 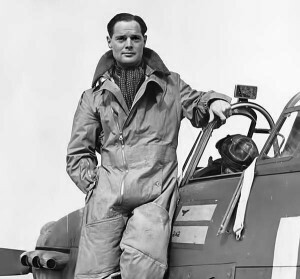 Douglas Bader’s description of his squash playing life are taken from the website of The Douglas Bader Foundation. This entry was posted in Squash and Culture, Squash Courts, Squash Lives and tagged off the court, squash court, squash players by Peter Heywood. Bookmark the permalink.